We were the Old Dominion Region representative to Junior Nationals! You can see us at Junior Nationals in Columbus Ohio! From jersey #1 - #26, from Monument in January to Junior Nationals in July, this team was one word: Character. Each mom, each dad. Each brother and sister. What a pleasure to be a part of a team where all 40 members cared more about the well-being of the team than about the glory of themselves. Thank you Coach Easter and Coach Caroline! I may never coach another team like this one. The link to see the professional pictures taken is here. The individual team shots can be seen here. The site says you have until Aug 31, 2011 to order. Caroline Brown..... You're Our Hero! Channel 7 did an segment on the Lord Botetourt valdictorian! You can see it here. We're Online .... In Hannah and Leah's Area! The Star-Tribune has an article about us here! The picture, however, is really old. :) Maybe I can get them to use a newer one. Thank you Michelle for creating this wonderful YouTube video! time really does go fast." Now, every girl has her own page! Touch her name to see why this girl is so special to us! Links to each tournament is at the top of the page. Jan 14 & 16: Monument City Classic, Richmond: Record 9 - 10, 2nd in Division 2 of Open! Jan 21 & 22: K-2 Elite, Sevierville, TN: Record 7 - 5, 3rd place overall! Feb 4 &5: MidAtlantic Power League (Hampton): Record 10 - 5, 29th place of 54 select teams. Feb 18/19/20: Capitol Hill Classic, Washington DC: Record: 9 - 7, 22nd of 48 teams. Feb 26: OPEN day tournament at JMU. Record: 10-3. 1st place of 7 teams, all of which will be in the bid tournament. March 10 &11: Shamrock Festival, Roanoke. Record: 13-6, 5th of 90 teams! 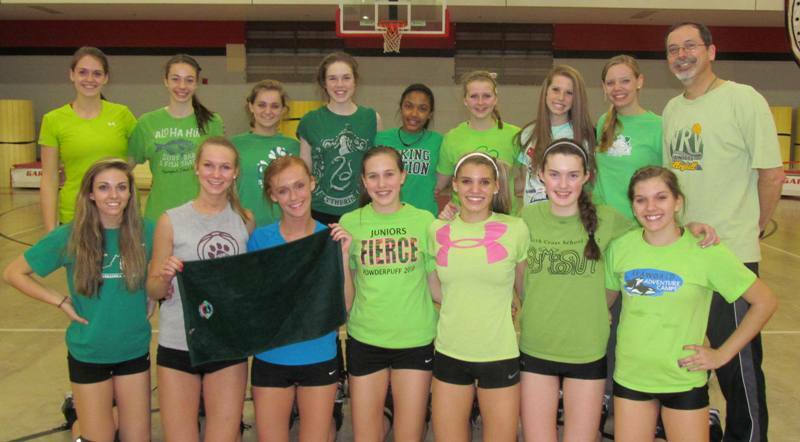 March 18: Day tournament 15's at Uturn (Richmond). Record: 10-0, 1st place of 9 teams. March 30/31/April1: BigSouth National Qualifier, Atlanta. Record 10-11, 26th place of 72 teams. April 7/8/9: Northeast Qualifier, Washington DC. Record 14-4, 13th place of 35 teams. and we accepted the bid to Nationals! 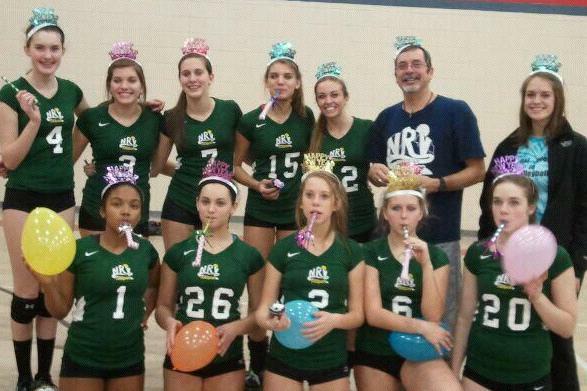 April 28 &29: Revolutionary Rumble, Williamsburg, Va. Record 14-3, 2nd place of 42 teams. June 2 & 3, MAPL Greensboro: Record: 8-10, 6th place of 17 teams! July 2 - 5, Junior Nationals, Columbus OH: 5-15, 31st place of 48 teams. Nice! Our team record after twelve tournaments: 132 - 83: 61%. This is the most wins any of my teams has even achieved! That's incredible ..... considering the competition that we've played! July 4, 2012. Junior Nationals, Columbus Ohio. More pictures are here. Playing in the 18's division! March 26th was Carden's 14th birthday. The M&M's were awesome! March 27th was Hannah's 15.5 birthday. THANKS EMILY for the peach smoothies. We're ready for Atlanta and Big South. Our COD decided that, in celebration of Shamrock weekend, we should all wear green! Guess what day it was? Yep, it was Feb 29, 2012. Leap Day! 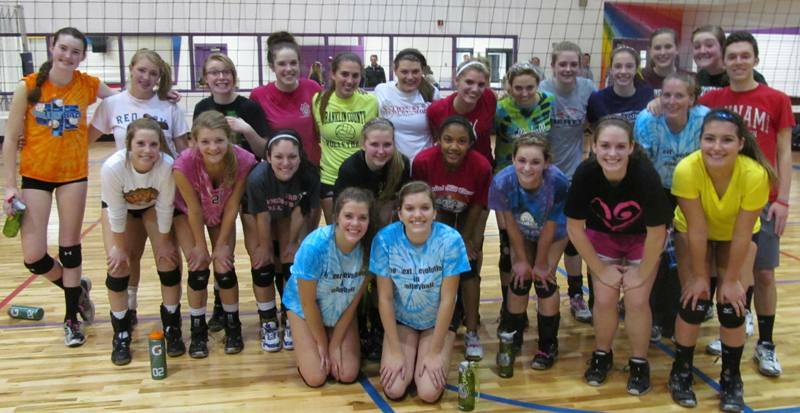 On Thursday Feb 23, NRV 18's and 15's practiced together. We had a FANTASTIC NIGHT! Happy New Year!! 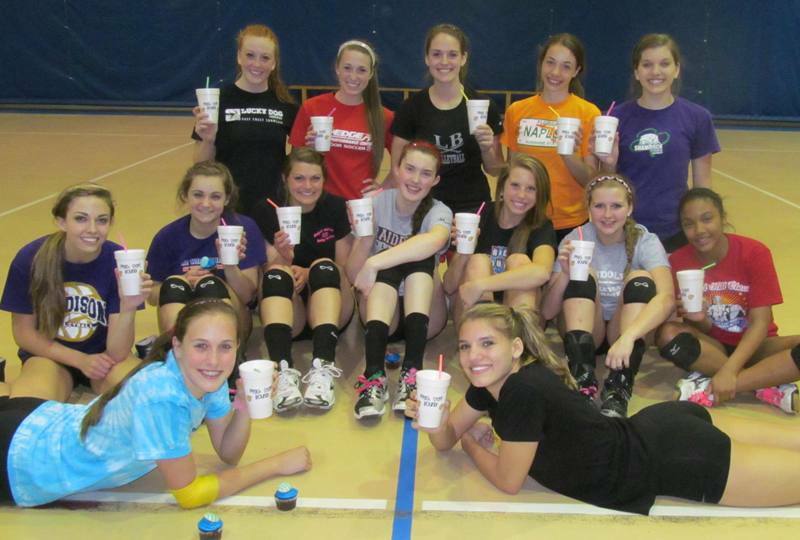 This is after our scrimmage vs. NRV 17's Jan 1st, 2012. On December 18th, we had a "Think Pink" night. On December 14th, we celebrated Leah's 14th birthday! 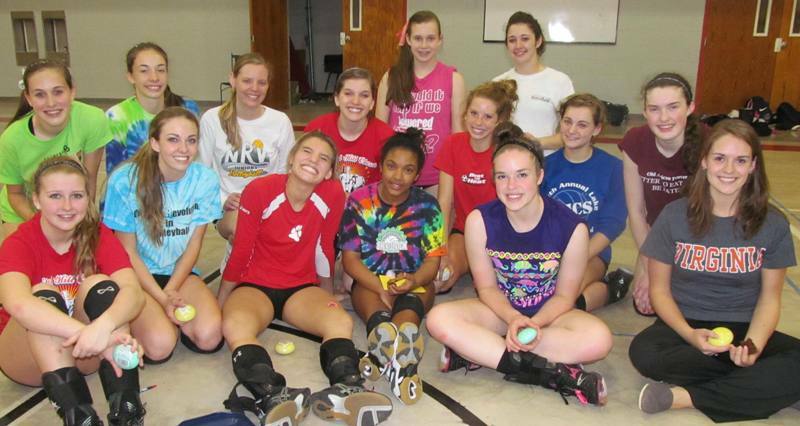 Our first practice, Nov 27th, 2011!